Crazy! 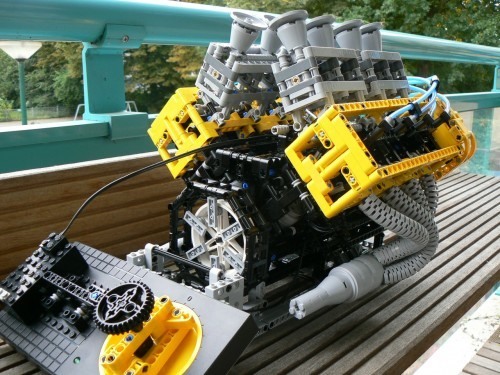 Real working v8 32 valve engine, made completely from LEGOs. 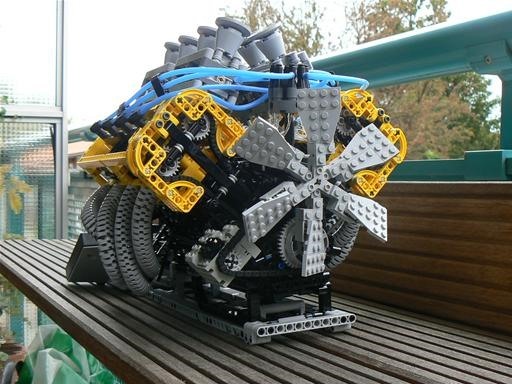 Not made from a set, and apparently took about 300 hours to construct. Click through to YouTube description for link to parts list (PDF). Lego Mindstorms Puts the Fun Back Into Number Two. Who Needs a Girlfriend: Legos Open Beer.